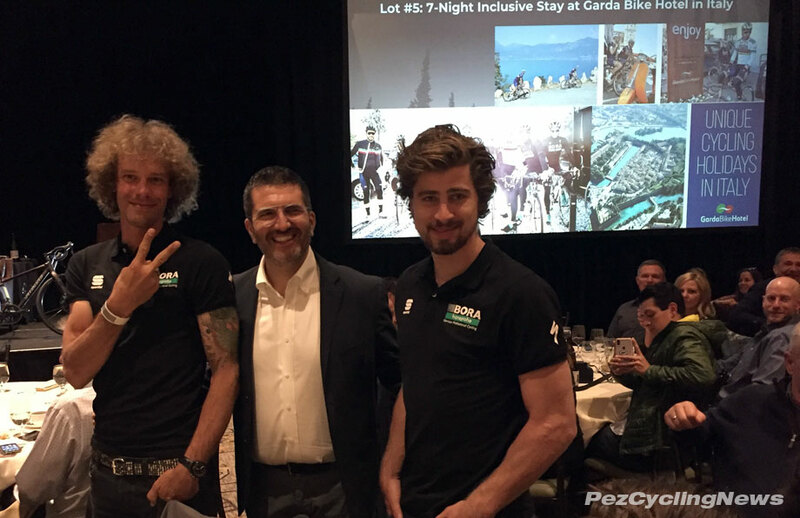 PezCycling News - What's Cool In Road Cycling : Peter Sagan Gets Pez’d! In this PEZ-Clusive Peter Sagan interview, the reigning Paris-Rioubaix and World Champ talks about Sportful cycling kit, the Garda Bike Hotel, and more with the Pez at the Sagan Gravel Fondo. My obligatory pose with the most popular rider in pro cycling right now... and Brad Gebhard of Sportful USA. 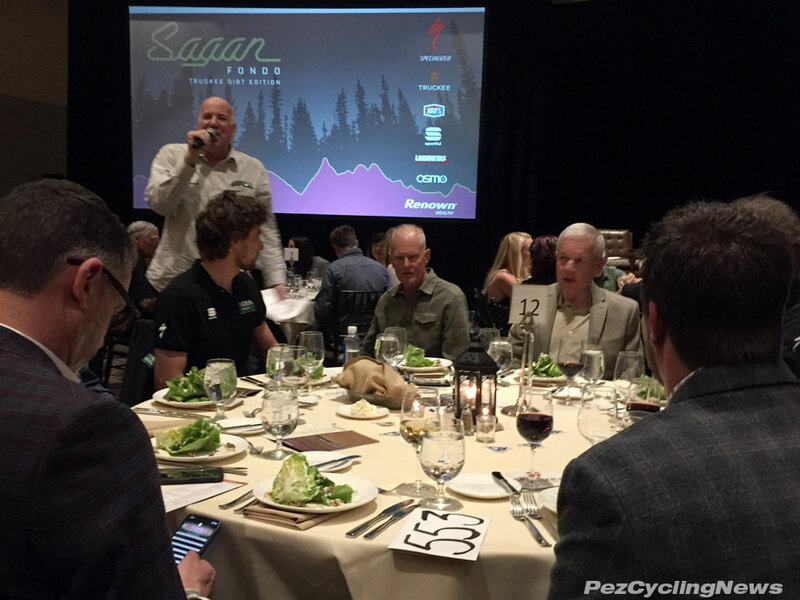 The May 3-5, 2018 weekend started with a VIP gala dinner that raised over $90,000 for Adventure Risk Challenge, the King Ridge Foundation and The Specialized Foundation, and another several thousand dollars from the ride itself for trail development in Tahoe National Forest. Another sponsor was one of my favorite bike hotels - and it was great to see my friend Nicola Verdolin (aka: "Il Locomotivo") taking time away from guiding rides around Lake Garda to spread the word about he and brother Alberto's GardaBikeHotel here in the US. As the Bora-Hansgrohe team gathered for their pre-Tour of California training camp - I had the chance to say hello to Daniel Oss and remind him of that time he got Pez'd by our Ed Hood. Up here at over 6000ft altitude, what it lacks in oxygen, it more than makes up for in views. 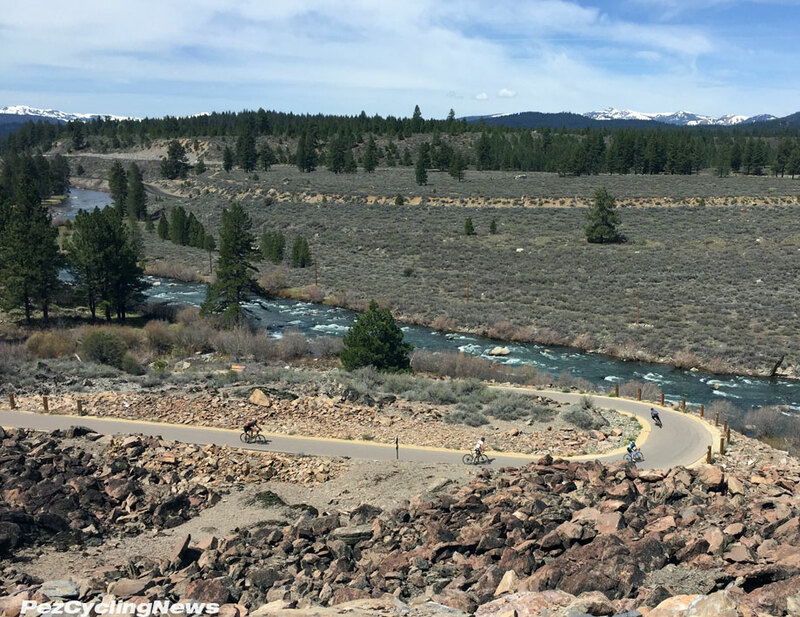 Friday morning started with a couple hours warm up ride with Peter, and Levi Leipheimer, out and around the town of Truckee - which is about a $50 Uber ride from Reno airport. 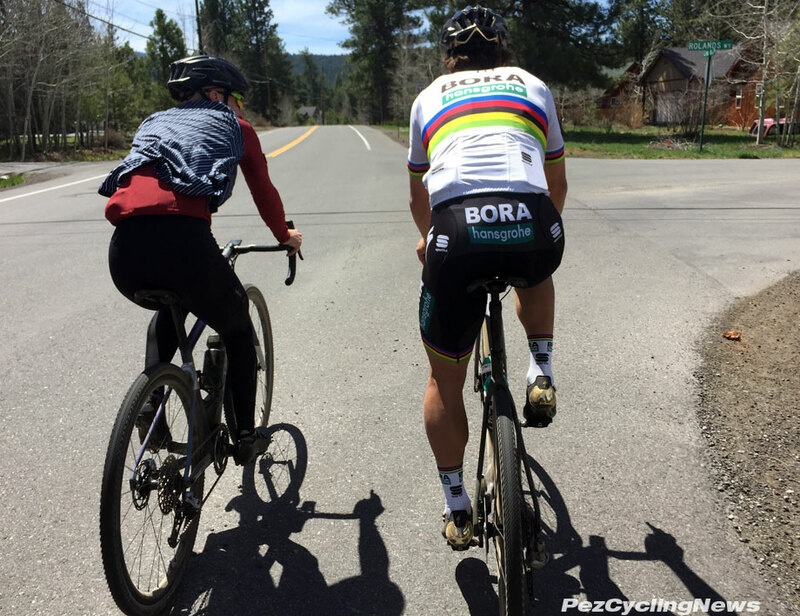 Sportful - who sponsors the Bora-Hansgrohe team, showed off their Giara kit - hi-tech gear made for gravel & adventure riding (it works just as well on the road too). 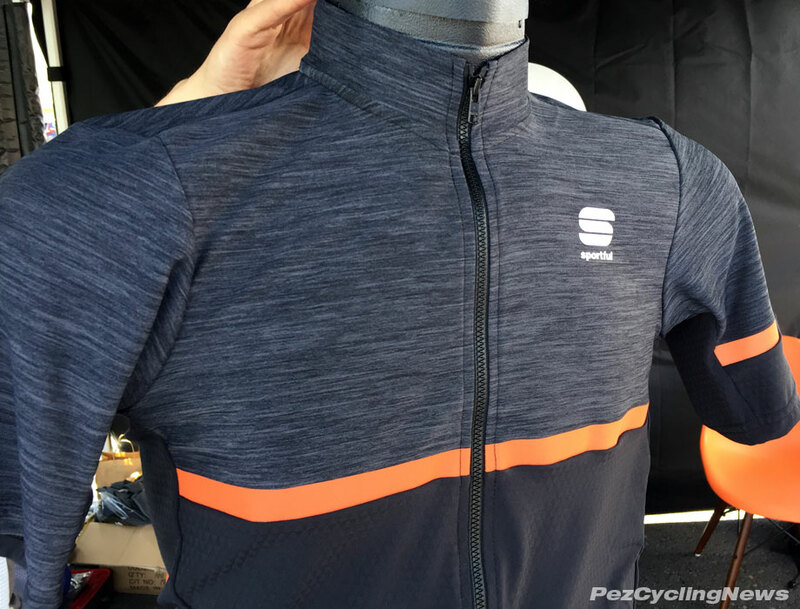 If you haven't tried Sportful - I'll tell you it is nice stuff, made in Italy with top-shelf fabrics, and excellent tailoring and fit. 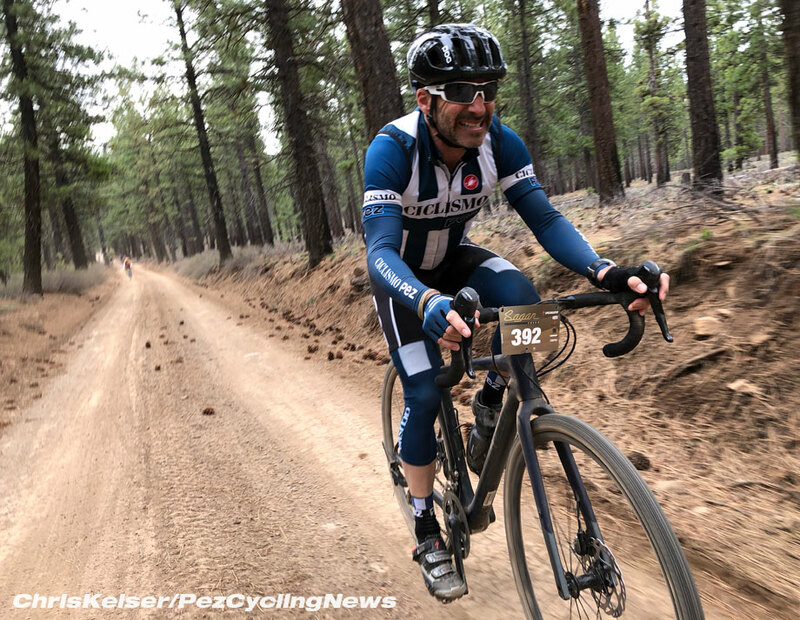 The ride itself was epic - I logged almost 6 hours to cover the 68 miles (110km) of gravel, rough dirt roads, technical single track, and an hour long rocky climb called the "Boneyard". You bet I was sore. But this one took me right back to my roots as an mtb'er in the early 80's - just me and my buds going where no man had gone before.